Joan Gregorio has put on some weight since his Augusta GreenJackets days, now a grand total of 80 pounds since 2011, and that's a good thing considering the man is 6'7". His height and length definitely create a steeper angle in general, though he offsets it a bit with a slightly lower, more 3/4 arm angle. Still, 6'7" coming at you at 90-94 with good sink is nice. His slider used to be slurvy, but has now really developed into a remarkable weapon. The pitch is a straight-downer, much like vintage Tim Lincecum. The changeup looks good, too, but is not utilized as much as it could be. Like many minor league starting pitching prospects, the development and consistency of a third/fourth pitch will determine whether Gregorio reaches the bigs as a rotation or bullpen arm. One of the most coveted types of baseball players is the big, left-handed, power-hitting first baseman. Chris Shaw is that. Recognized widely as the best collegiate power hitter in the 2015 draft, Shaw was taken in the supplemental first round and debuted with Salem-Keizer weeks later with that strength on full display. He clubbed 12 home runs and 11 doubles in 200 plate appearances, slugging .551. He's shown the ability to draw walks, and doesn't strike out as much as the stereotypical homer-happy first baseman. His lack of speed means he's stuck at the first base position, where he fielded with 97% accuracy with the Volcanoes. Shaw raked 16 home runs and 22 doubles in 300 plate appearances with San Jose before his call-up to Double-A. Will he rebound from a disappointing Double-A debut? Stanford's Austin Slater progressed through the system rather quickly in 2015, and again last season. He played 60 games in San Jose, skipping the South Atlantic League, and was in Richmond by mid-season. Though he racked up 59 hits in his 54 games there (.296), he didn't show off the type of power he's capable of producing. He's no Jarrett Parker or Mac Williamson, but Slater is equipped to hit anywhere from 8-15 home runs in a full season. He gave viewers a peek at that power last spring when he hit a bomb off Yordano Ventura to dead center field. He can play all outfield positions, and can even make do in the middle infield, where he did quite well in 2015 before transitioning back to center field in 2016. Ty Blach's ability to command the zone has always been apparent. 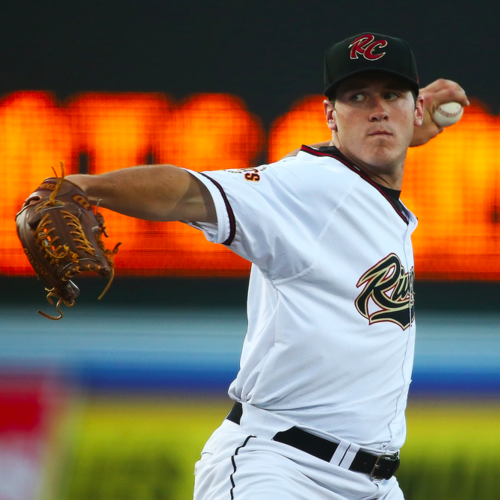 The left-hander averaged two walks per nine innings his final year at Creighton, then struck out an astounding 117 hitters to just 18 walks over 130.1 innings in his debut season with the San Jose Giants in 2013. Those numbers didn't budge much since in his promotion to Double-A the next year, or in his Triple-A debut, but the amount of hard contact off Blach in Sacramento drove his ERA into the mid-four range. He debuted in the major leagues late in 2016 and goodness did he boost his stock. Blach features two fastballs, with the four-seamer topping at 94, a plus changeup with good fade away from right-handed hitters, and a slider. Along with Tyler Beede, he's the next young staple in the Giants' rotation.